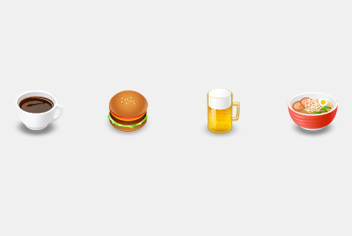 This set of food and drink psd icons contains the following icons: noodle, beer, burger and coffee. Each icons is fully layered. Download the psd source file and open them with Photoshop CS or newer.